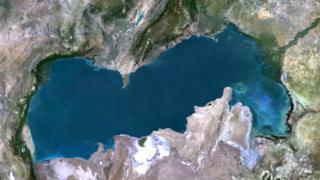 The two-decade-long dispute on the statute of the Caspian Sea, the world largest water reserve, came to an end last Sunday when five littoral states (Russia, Iran, Turkmenistan, Kazakhstan and Azerbaijan) agreed to give it a special legal status - it is now neither a sea, nor a lake. Before the final agreement became public, the BBC wrote that all littoral states will have the freedom of access beyond their territorial waters, but natural resources will be divided up. Russia, for its part, has guaranteed a military presence in the entire basin and won't accept any NATO forces in the Caspian. Russian energy companies can explore the Caspian’s 50 billion barrels of oil and its 8.4 trillion cubic meters of natural gas reserves, Turkmenistan can finally start considering linking its gas to the Turkish-Azeri joint project TANAP through a trans-Caspian pipeline, while Iran has gained increased energy supplies for its largest cities in the north of the country (Tehran, Tabriz, and Mashhad) – however, Iran has also put itself under the shadow of Russian ships. This controversy makes one wonder to what degree U.S. sanctions made Iran vulnerable enough to accept what it has always avoided – and how much these U.S. sanctions actually served NATO’s interests.